Crown and bridge is the bread and butter of general practice and is routinely recommended for patients requiring indirect restorations. Advances in material science and CAD/CAM technologies have revolutionized and simplified the treatment procedures. Forward thinking clinicians must negotiate this rapidly changing landscape and evaluate these new advancements, that have the potential to improve and enhance the desired treatment in both interim and the final phase of treatment outcome. A) Patient management skills, treatment acceptance. B) Chairside fiber post and cores. C) Crown and bridge preparation, temporization, final impression, lab communication, occlusion, and final prosthesis. Chairside post and core preparation and cementation. Learn efficient techniques in crown and bridge provisionalization. Pontic designs, soft tissue management, and balance with pink and white esthetics. Digital and conventional impression techniques and tissue retraction. Shade selection, lab scripts, lab communication. B.D.S., A.E.G.D., Cert. Prostho., F.R.C.D.(C). Dr. Baig received his dental degree from H.K.E.S Dental College, Gulbarga University, India in 1997. He has completed his residency at Government Dental College and Hospital in Hyderabad India, after working for seven years in India as a general dentist he decided to move to Canada for a higher education. Dr. Baig worked at Prosthodontic Associates, Toronto, Canada for 3 years as an Implant education coordinator. Dr. Baig completed Advance Education in General Dentistry program and Graduate program in Prosthodontics at Eastman Institute for Oral Health, University of Rochester New York state USA. Dr. Baig is a Clinical Assistant Professor at University of Rochester in the Department of Advance Education in General Dentistry at Eastman Institute for Oral Health, University of Rochester, USA. 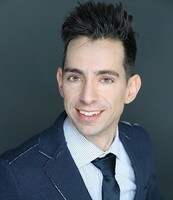 He also works as a Clinical Instructor in Prosthodontics in the Department of Periodontics at University of Toronto Faculty of Dentistry, Staff Prosthodontist at Mt Sinai Hospital. Toronto, Canada. 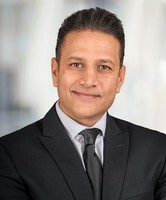 Dr. Baig is a board certified Prosthodontist in Canada and has a special interest in aesthetics and implant dentistry, CT guided Implant surgeries, Dental Ceramics and smile makeover procedures. Dr. Baig lectures to dental study clubs and professional organizations across North America and Southeast Asia. Dr. Baig is a fellow of Royal college of Dentists of Canada, member of Ontario Dental Association, American Dental Association, American Prosthodontic Society, New York State Dental Association, Seventh District Dental Society. Dr. Rotella is a fellow of Royal College of Dentists of Canada (F.R.C.D(C)), Certified Specialist in Prosthodontics. Dr. Rotella also serves as an examiner for National Specialist Examination in Prosthodontics, which is administered by the Royal College of Dentist of Canada. He is also a Clinical Instructor at the Faculty of Dentistry, University of Toronto. Dr. Rotella shares the goal of Dr. Baig in providing comprehensive, patient-based innovative treatment for all our patients. Dr. Rotella believes in the vision of Dental Specialists Group and strives to provide excellent, efficient and reliable treatment for all dental problems faced by our patients. Please register online with us at paceeducation.ca. Should you have any problems please email pace@buildyoursmile.com or call 1-877-920-7223. If you are a PACE Member please use your coupon code to receive the 50% discount on all Hands on programs and 100% discount on all lectures. Should you not know what coupon code to use please contact us and we can resend all codes. Please note that PACE cancellation policy does not give refunds unless your cancellation is received in writing 72 hours before the program is to take place if it is a lecture and 10 Business days prior for all hands on programs due to nature of those programs.